Our top picks will make erratic movements and inconsistent sensor readings a thing of the past. A great mouse pad is a must for gamers, reducing wear on wrists during hours of intensive play. Sometimes called mouse mats, they’ve evolved from the humble mouse pads of the 1990s to larger sizes that can accommodate more dramatic movements. Many modern ones use chemical coatings or specially engineered surfaces to improve sensor accuracy or reduce drag—a boon if you’re doing repetitive motion that requires high accuracy. Plenty of mouse pad manufacturers exist, but few provide clarity or consistency in describing their products. For example, most don’t report how much friction you’ll encounter when using their mats with the most popular mice. 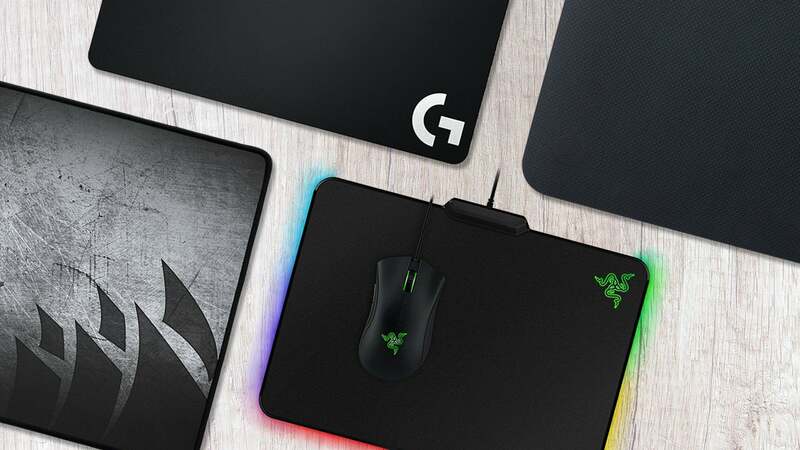 To help you find the best mouse pad for your needs, we’ve tested several from a few different companies that represent a range of surface types (metal, plastic, or cloth) and usage cases (business or gaming). Powerplay is a two-part system: the aforementioned mouse pad and (at the moment) one of two compatible mice: Logitech’s G703 and G903. Both mice are totally capable. Outfit the Powerplay mat with either the cloth or hard surface and enjoy wireless mousing knowing that your mouse pad is keeping your rodent supplied with juice. It’s a beautiful thing. Because cloth mouse pads tend to be on the cheaper end of the spectrum, they have the reputation of being flimsy, often tearing or coming apart easily. SteelSeries' Dex is an exception. With a hefty textured cloth surface and a silicone underside, the Dex is tough enough to withstand machine washing. Plus, while the surface is a lot rougher than you'd expect—almost like corrugated cardboard—mouse movement is smooth and consistent, with no detectable drag. Combine that with the excellent silicone backing that resists sliding even during quick or excessive movements, and you've got an absolutely stellar product. Its only drawback (and a minor one at that) is that it comes in just one size. 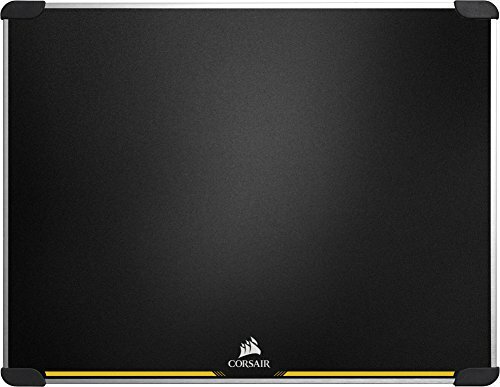 A solid aluminum pad with two different coatings, Corsair's MM600 is the best of two worlds. To switch, all you need to do is flip the mat around. Four feet at the corners hold the mat in place instead of more typical full-back contact with a surface. Those feet are the only real weakness: If one of the feet doesn't sit quite right, the pad can slide around during use. Otherwise, the design is nearly perfect. Both the coarse and quick sides of the MM600 are plenty accurate and don't mess with mouse sensor readings. Plus, because each side is coated with a polymer, the pad doesn't feel unusually cold or hot based on ambient temperature (which can be a bit jarring if you're just starting at your desk early in the morning). Overall, these surfaces are among the best around, and this mouse pad is quite a bit cheaper than many higher-end competitors. A mid-tier cloth mouse pad, the MM300 is a good alternative to SteelSeries’ QCK line if you want more control over your mouse movements—and higher durability. A stitched ridge surrounds the mat and binds the surface to the underside to help prevent fraying. Beyond that, the pad is fairly standard. 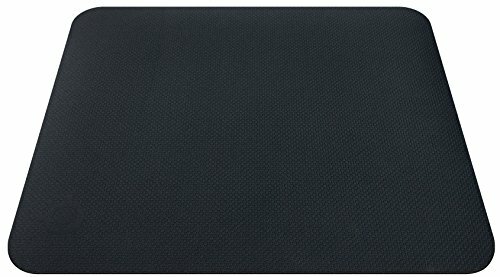 You'll get a textured fabric emblazoned with the Corsair logo and a coating to help mouse sensor readings, as well as a rubberized base to keep the pad in place. Like the QCK, the MM300 comes in a few sizes, including an extended version that stretches almost a full meter. The difference here is that it's a bit coarser—a sacrifice of speed for control. If you have a standard, non-gaming mouse, the drag may be a bit much, but it shouldn't be a problem for most others. The Firefly is a basic hard plastic mouse pad with one major conceit: RGB lighting around the edges. This mouse mat belongs to Razer’s Chroma line of products, which all incorporate RGB LEDs controllable by the user. If you already own Razer Chroma peripherals, owning the Firefly works out particularly well, because you can coordinate effects, macros, lighting, etc. through Razer’s proprietary Synapse software. But even if you're not going for a unified theme, Synapse works well enough without feeling like a piece of unnecessary bloatware. As for actual performance: Firefly's mousing surface is rough, but it provides a decent glide with most mice. On the underside, there's a hexagonally patterned rubber coating that grips most surfaces pretty well, except for glass desks. If you use glass for your workstation or home desk, expect the Firefly to slide around. Razer's Manticor is a tough beast. As an anodized aluminum mousepad, it's weighty and sturdy. Its coarse texture also helps accuracy in mouse sensor readings. Overall, that’s this mouse pad’s primary function. The bottom is a standard rubberized coating, meaning that the Manticor isn’t reversible. It’s also not very portable—after all, you'd have a tough time folding or rolling aluminum and then still having something usable afterward. But it makes up for its lack of versatility by providing excellent performance. We never noticed jitter or other tracking problems in our time with the pad. For days on end, each movement was accurately represented on-screen without exception. However, it does come at the expense of additional resistance in movement. Every stroke of the mouse makes a grinding sound—even with Razer's own DeathAdder and Naga series. Using the Manticor can get tiring after a few hours of heavy gaming. Like SteelSeries’ Dex, the Razer Megasoma 2 tries to strike a balance between being sturdy and flexible. The silicone coating and thick cloth give it a sense of weight and substance that's uncommon in other cloth-style pads. While not as textured as SteelSeries' cloth/silicone pad, the Megasoma 2 is a bit coarser than other products in the Razer line—and still has excellent glide, with no discernible resistance. In fact, the surface has just enough give to feel pleasant without allowing your mouse to sink in and slow its movements. Accuracy is also excellent, never causing a noticeable sensor problem. Our sample did fray a little bit with heavy use/abuse, but the binding between the base and the top was still intact, so it wasn't a big problem. Other than that, the Megasoma 2 is a solid choice for those needing a portable and comfortable hybrid mouse pad. 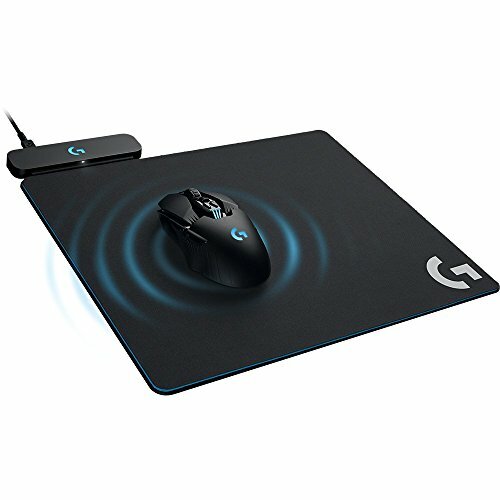 While Logitech’s G440 is a hard-surface mat, its G240 is a flexible cloth mouse pad. This model is straightforward, with a thin cloth surface and a rubber foam underside. Like the G440, the occasional signal problem will crop up during mouse use, but not enough to be an irritant. The surface wears down fairly quickly, so depending on how often and how much you use the pad, you’ll likely get about one to two years out of it. Since it’s fairly cheap, that’s not at all a problem. 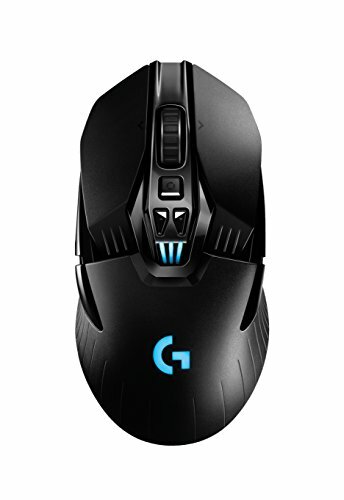 The Logitech G440 is the company's main hard-surface mouse mat. It’s a no-frills, middle-of-the-road piece, with a basic plastic surface and a rubberized foam underside, and sits at a height of about 2mm. It also has a hard edge that your wrist will likely rub on a bit if you're not careful. Accuracy is okay, though occasional signal problems do occur. More of an issue is how the surface wears down relatively quickly, depending on how often and how much you use the pad. You’ll likely get about one to two years out of it—and given its low price, that’s acceptable. Steelseries’ QCK line offers a light cloth surface with a rubber-foam backing in a wide variety of sizes. The mini is targeted at laptop users, while the base model is aimed at average gamers. The + is for someone who wants a little more room; the Heavy for those who want a thicker, sturdier base, and the XXL for people who want a tremendously large mousing surface (a little less than 0.5 square meters). Those basic distinctions aside, they're all effectively the same. They're basic, but thicker and a lot sturdier than your standard, non-gaming fare. As cloth pads, their surfaces can on occasion cause your mouse sensor to twitch, stutter, or skip, especially if there's pet hair or dust on it. The bond between the cloth surface and the rubber bottom is also somewhat weak and won't hold up to extreme wear. That said, the QCK line is a solid option that can fit most budgets and use scenarios.